Tonya Rapley is a Money Coach with national acclaim. She’s the founder of MyFabFinance.com, which promotes financial literacy​. She has been featured on the cover of Black Enterprise Magazine, on ABC’s Here & Now, in Woman’s Day, Yahoo! News, and more. She is also an agent for social change in the fight to end Domestic Violence and the financial abuse that can come with it. 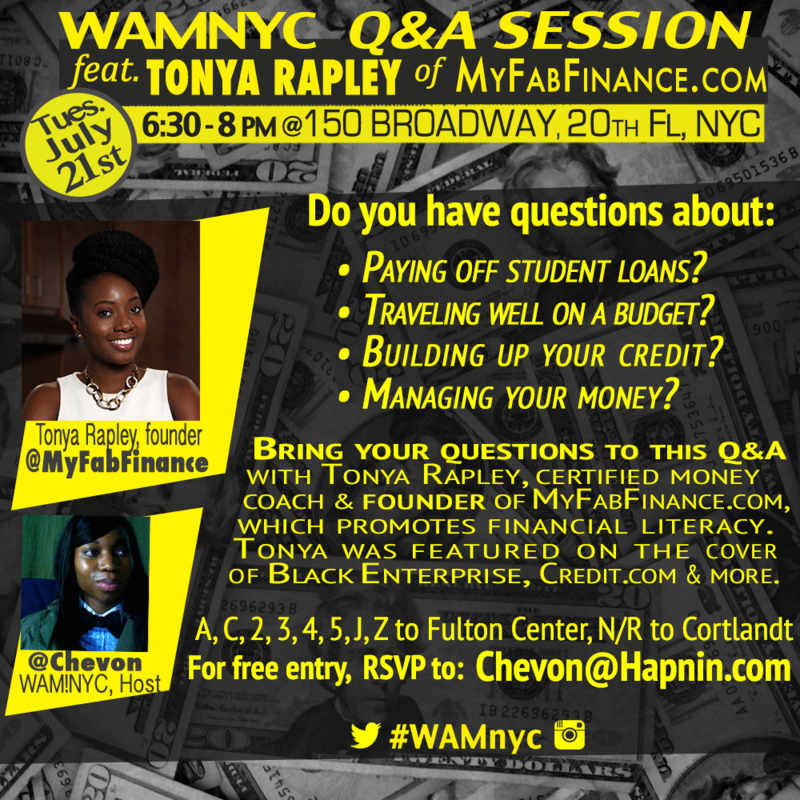 We talked money with Tonya, and she was knowledgeable, humble and helpful (a plus when you have a roomful of people who are unsure and shy about how to handle money)! Check out some of the tips from the discussion and follow Tonya on Instagram or Twitter @MyFabFinance, for more financial love. Try CapitalOne360 for savings. Make your savings money inaccessible! You can also further “bucket” your savings within the account by segmenting it according to your goals. For example: create one savings bucket for the car you want, another bucket for the emergency money fund, and yet another for that holiday trip you want to go on. Use digit.co for monitoring your account behavior. They’ll tell you how you’re spending, and they transfer small amounts of your money that you won’t miss, to your savings account automatically throughout the year. (It’s like a painless way of stacking your pennies). For many, the term 401K denotes a scary financial device they don’t fully look into until it’s too late. It doesn’t have to be that way! Your 401K, if you have one, is provided by your job. Many employers MATCH however much money you put into the account, too! Take full advantage of this. No exceptions. Ask HR for help if you need it. In Brooklyn, the Bridge Street Development Corp. will help you invest and match your money in some cases! Pratt Area Community Council has a similar service. Nonprofit investment help is available in many cities. Search for the one nearest you and take advantage of it. Having trouble building credit? Use your rent! If you setup an account with William Paid, they will disburse your rent to your landlord and report each month to the credit agencies in order to build your credit. Aim for saving 20 percent of your income if you’re single. Is 20 percent tough for you? Then make sure to at least set aside a few dollars from each paycheck for your emergency fund. This can’t be understated. You never know! Now go forth, be financially fruitful and multiply! 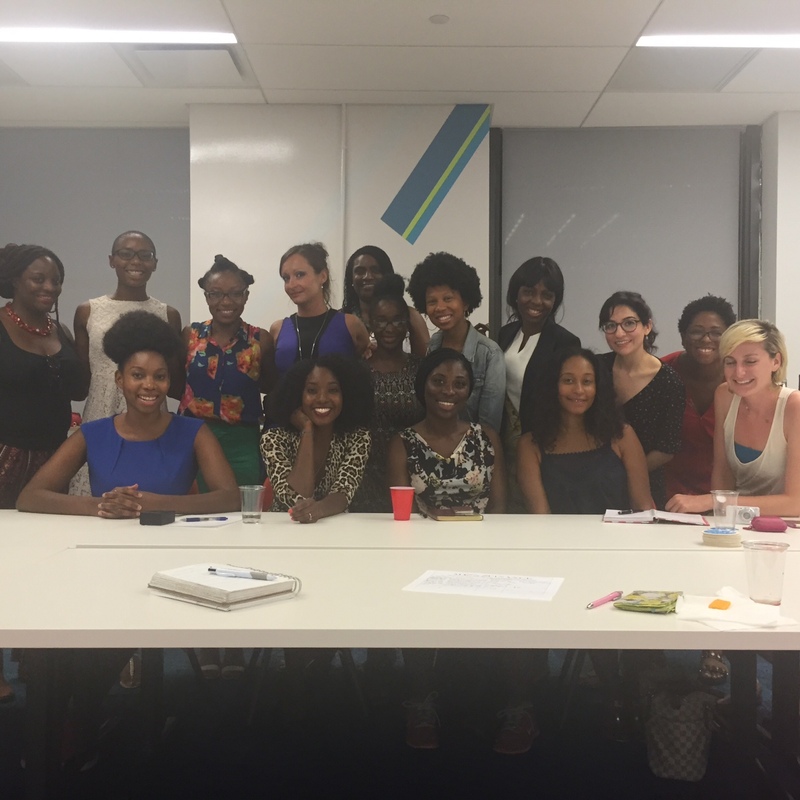 « Our 2015 WAM!NYC Women In Media Conference At Barnard College, Columbia University Was Awesome!